The rally in oil prices over the past two weeks came to a halt on Wednesday on news that OPEC is actually exporting more oil than previously thought. A month ago, oil prices appeared to be higher than they should have been, with weak demand, elevated inventories, and a recognition that the nine-month OPEC extension would be inadequate to balance the market. Oil sold off and dropped to the mid-$40s and below. Oil traders then bought on the dip, and bid prices back up over the past two weeks. Now, prices again look like they could be reaching an upper limit. 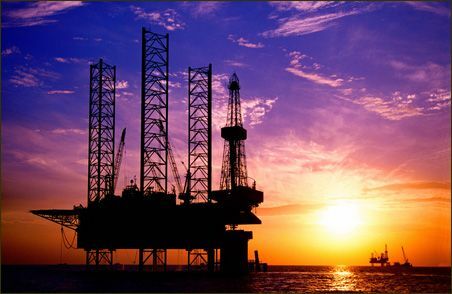 "The air is getting thin for oil prices. The price increase just ran out of steam, which is not very surprising, given the newsflow of rising OPEC supplies," Carsten Fritsch, senior commodity analyst at Commerzbank, told Reuters. According to Reuters data, OPEC exports jumped again in June, the second consecutive month of rising exports. Everyone tends to pay attention to the production data, but the volume of exports is arguably much more important. Reuters says that OPEC's oil exports rose to 25.92 million barrels per day (mb/d) in June, an increase of 450,000 bpd from May. More importantly, OPEC's exports are actually 1.9 mb/d higher today than they were a year ago, despite the highly-touted compliance rate with the collective production cuts. Reuters columnist Clyde Russell calls OPEC's efforts to balance the oil market “an exercise in self-deception.” It appears that OPEC is exporting just as much oil as it was before the November deal was announced, according to a Reuters analysis of oil tanker data. The UAE, for example, exported 2.8 mb/d in the first six months of 2017, higher than the 2.52 mb/d the country averaged in the same period a year earlier. Iran too is exporting more than last year. Then, of course, there are the countries exempted from the deal – Libya and Nigeria – where exports are rising quickly. Libya's exports only averaged 243,000 bpd in the first half of 2016, a figure that doubled to 553,000 bpd this year. Libya's production recently topped 1 mb/d, so its exports are surely set to rise further. Ultimately, this means that OPEC's oil exports are not all that different from last year's figures even though it has claimed success with the collective cuts. That raises the question about whether or not OPEC should make deeper cuts, an approach that a growing number of analysts say is needed to balance the market. And as Bloomberg recently noted, another cut would be consistent with OPEC's own history. In the past, OPEC conducted multiple cuts over a short period of time, tweaking their output levels in order to achieve a targeted outcome. “In the past if it didn't work, OPEC would adjust lower,” Mike Wittner, head of oil market research at Societe Generale SA, told Bloomberg. “It's a process. That's what supply management means.” It would be an “outlier” if this time they cut only once. However, the one major reason why a follow-up cut would be more difficult is the presence of rapid-response U.S. shale. Shale drillers have already brought back a lot of production since last year, so deeper cuts could simply open up more room for them. While some analysts are pointing to the possibility of shale production starting to slow, that would support the notion that the industry responds very quickly to changing market dynamics. That responsiveness takes away some leverage from OPEC and undercuts the rationale for steeper cuts. Moreover, it would be very difficult to get all participants on board for deeper reductions. Russia, a crucial non-OPEC producer that has leant weight to the deal, has poured cold water on speculation about the possibility of deeper cuts. Four Russian officials said they would oppose any proposal for more aggressive action. The officials even argued that another cut so quickly after the group agreed to a nine-month extension could backfire. The hasty move would be viewed by the market as a panicked decision, a recognition that what they have been doing is wholly inadequate to balance the market. Oil traders might interpret an attempt to lower output as very bearish rather than bullish. As a result, we will probably be stuck with the current trajectory – muddling through for another year or so with modest drawdowns in inventories, and oil prices stuck in its current range between $40 and $60.